Cranford House Plastic Surgery, led by Dr Lam, offer breast augmentation to women looking to increase their breast size. Breast augmentation has the power to dramatically change your overall proportions. Women seek breast augmentation for a variety of reasons. Most commonly women seek an increase in volume, but more importantly, women want a more balanced body shape. They want breasts that complement their body. Some women are just aiming for a modest increase in volume, while others seek a more dramatic change to their proportions. For some, an increase in volume is just as important as a change in the shape to their breasts. Breast augmentation can also help reverse the changes related to dramatic weight loss, ageing or breastfeeding. Whatever the reason, Breast augmentation is an extremely powerful tool in transforming your torso proportions. 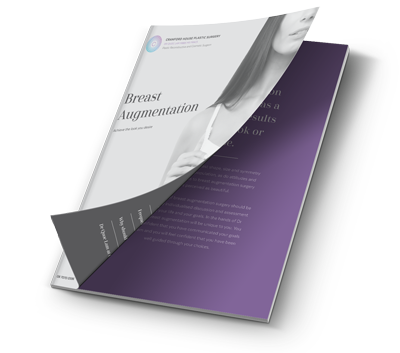 There are many considerations when it comes to your breast augmentation. These include the placement of the incision, the size and type of implant, the plane in which the implant is placed and most importantly your goals and lifestyle. Your breast augmentation is unique to you. Your result will be tailored to your needs alone. At your first consultation, Dr Lam will focus on your goals while exploring your general health, body shape, chest shape, breast size, shape and symmetry. At this consultation you will have an opportunity to try on breast sizers to explore what you like and dislike. This is an important opportunity for you to see what you might look like and also feel the weight of the implants on your chest. This sizing exercise also allows you to clearly communicate your goals to Dr Lam. A second consultation is useful to clarify your goals and discuss the process in greater detail. In particular, more time will be spent on the post-operative recovery as well as the risks of the procedure. It is important that you entrust your breast augmentation surgery to a qualified plastic and reconstructive surgeon. Dr Quoc Lam has a special interest in breast aesthetic surgery and is well equipped to help you achieve beautiful breasts safely. Your overall result will be clearer by the 6-week mark. In the early recovery you will be swollen and feel tight. As the swelling settles and the skin and muscle stretch, you will feel more comfortable, look more natural and your breasts will move more naturally. These changes can continue for as long as 6 months and features such as a natural cleavage or softer curves often take a bit of time to evolve. Can I exercise after my breast augmentation surgery? Although you may feel comfortable enough to return to desk work at 2 weeks, you will find that you may still require pain relief and may not tolerate long hours. You will be able to explore driving from about 2 to 3 weeks and you should not return to physical exercise or work until about 4-6 weeks. Even still, any return to physical exercise or work should be taken with care. Will I feel any pain following breast augmentation surgery? For the first 1-6 days, you will need full-time assistance and should focus on resting. You will experience most of your pain and discomfort during this period. This will improve dramatically day by day. By the 1-2 week mark, your pain will have improved dramatically, and you may only be taking pain medications once or twice a day. After your surgery, your breasts will be dressed with gauze and you may have tubes placed in order to drain any excess fluid from your body. These drainage tubes will be removed within a few days. We recommend that you wear a surgical bra for several weeks while you heal from the procedure. It’s important that you rest for a few days following your breast augmentation surgery. Once you are feeling well enough, you can do some gentle walking. You will, however, need to avoid any heavy lifting and strenuous exercise for around six weeks after the procedure. We will advise you on when you can resume your normal activities and exercise regime. It is quite normal to experience some swelling at the site of surgery, which will resolve itself with time. You may also feel some tenderness and pain, but we will prescribe you with the appropriate medications to help you manage any post-operative discomfort. We may also prescribe antibiotics to prevent infection. We will discuss any medications with you before you undergo the procedure.